I'm not the world's busiest person by any means but working typical office hours is just so radically different from my normal routine. So I have to be totally honest, I've been completely unmotivated lately! I started my new job about two weeks ago and waking up at 6am is just plain HARD. My unemployment days were filled with super late nights doing nothing in particular and maybe getting up at 10am if I really wanted to push myself lol. Right now my main ambition is to spend all of my money as quickly as possible, which I know is terrible. Number one purchase: GLASSES! My sight has been deteriorating over the years and I can't even remember my last eye exam, it's been so long ;\ Taking advantage of Warby Parker's awesome Home Try-On Program made perfect sense. Thankfully the package arrived SUPER fast because I could barely contain my excitement. I'm still TOTALLY in love with the blue and pink pairs but the prices are so high! How much have you/would you spend on ~the perfect glasses~? Have you tried CoastalContacts.com? I've gotten my last 3 pairs of glasses there. And they're always giving away free pairs of glasses. 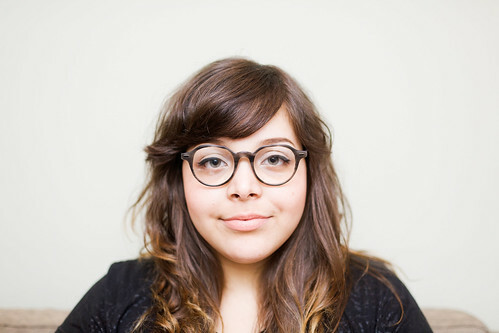 I love Warby Parker. They felt tight to me, too, at first, but after a day of wearing them, it felt totally normal. You look great in the Huxley's. I am looking for glasses too and all the roundish hipsterish ones are too narrow for my face, all the square chunky ones are too 'frame-y'. My last ones cost $240 with frames which is expensive but I wanted the right ones. You just have to remember that you will wear them all the time and it's important to choose carefully, I see them more as a need than a want so I justify spending more money on them. 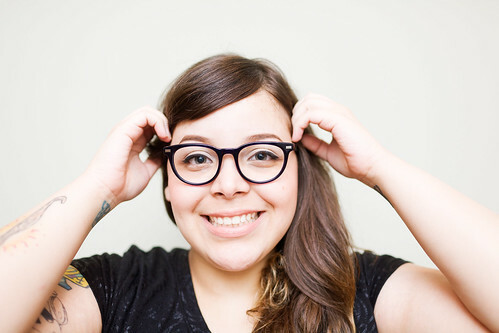 I bought my dream pair of cateyes for around $75 with lenses, frames, thinning (i have horrible vision) the whole shebang at http://www.eyebuydirect.com/. And they came in literally one week. 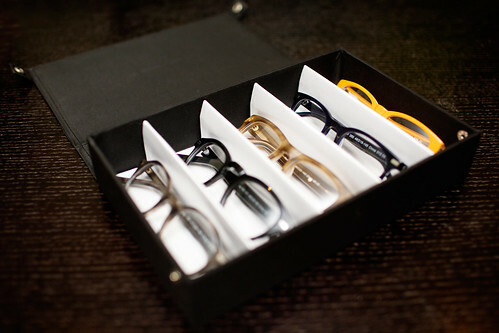 I buy eyeglasses a few times a year, so i feel less guilty buying from that site! I've never bought glasses online because I am afraid they won't fit, so it's good to hear this place you found has a trial program! I could never find glasses that fit me from nose to ear--the earpieces were always too long, and my glasses were forever creeping down my nose (the worst when bent over my sewing). The last time I went to the optometrist, I tried on a pair of kid glasses (Adolescent? For people not fully grown, anyway...) and they fit perfectly! And they were $100-200 cheaper than the fancy grown-up glasses. I have 20/400 vision and wear my glasses every waking minute, so I consider them an investment and would spend an awful lot to get the right pair. If you've got the money to burn, do it! If I had the money, I'd spend up to $600 on glasses. I've been wearing glasses for 12 years and they feel very much a part of my face rather than an accessory. And wearing the pair for two years, it's less than a dollar a day. As it is though, most of my frames are $100-$200 (with $100 lenses on top of that). I've never gotten glasses for less than $200, and I've never bought them online. It seems so foreign to me! 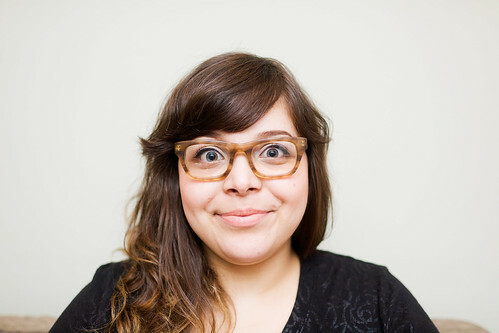 I like that at Lenscrafters, they can fit the glasses to my face, and if anything goes wrong they'll fix them for free. Glasses! I love glasses! I like the Begley too, the weight of them is really nice on you but the shape could possibly be a little too round? The blue ones you tried on earlier are the absolute best though. They are SO GOOD! I sort of want them. 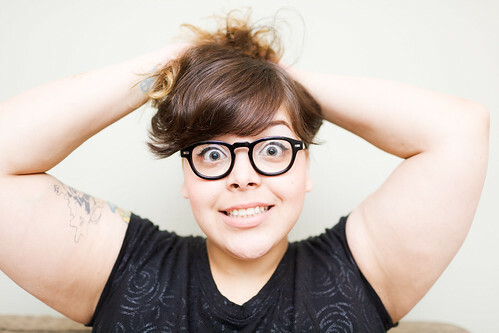 You might want to take a look at Spex Club. Refinery29 is running an amazing deal on them for the next day (2 pairs for $88)! I was so very tempted. Even after mentioning those sites, I have to admit that I, poor as I am, would spend a lot on great frames if I knew I was going to wear them often. Think price per wear! i'm in the process for looking for new frames too. my insurance pays $250 towards a new pair, every two years, so i'm lucky in that sense. any pair i want that i can find in a brick and mortar store are way too expensive. 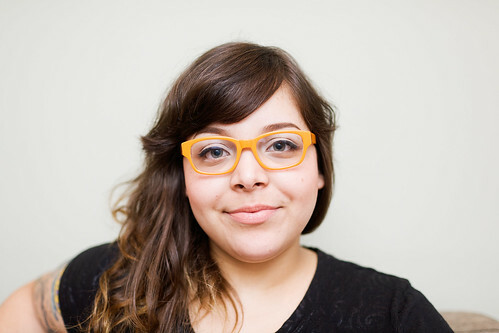 they sell frames on clearly contacts.ca for about $38 on sale, but i dont know if i want to risk buying without trying. every single pair suits you so well! I once paid $200 for the perfect pair of cateye frame glasses in olive and translucent grass green. I've since had to get a new prescription and wasn't able to get new lenses made for them. So sad because they were and still are my favorite glasses to date, especially after years of having to choose from the extremely limited frame choices allowed by Medicaid while I was growing up. I paid $45 through zennioptical.com for the tortoise-shell cateyes I have now. They're great, really. Larger lenses than my previous pair and a little wider frame in general than my previous pair, but I've been slowly coming to the conclusion that maybe glasses as perfect as that olive and grass pair are only meant to happen once or twice in a lifetime. Zennioptical my friend. It'll change your life. Google it. the glasses with the red things on the edges are amazing! I dong spend a lot of money on sunglasses, since i find vintage ones very cheap....and i change my mind all the time. i find many sunglasses on good prices on ebay. My current pair of frames are Cutler and Gross and they cost me £270 (plus whatever it cost to put prescription lenses in them). My private health insurance goes some way to paying for them, but I till have to pay a considerable chunk. But I can afford them and I absolutely LOVE them. They're fantastic face accessories. My vote is for the tangerine ones. They're so awesome and you totally rock them! the begley are really cute on you - they just fit nicely. i'd want to buy new pairs often, so i'd go pretty cheap. Add another lover of Zenni Optical to the list. I have two pairs from them that I absolutely love and I plan on using them again once I get my eye test done next week. Now that I'm ~married~ I have insurance! Which means THE HUNT IS REALLY ON! !